Aleppo is known as “the home of stuffed vegetables and kibab (plural of kibbeh) حلب أم المحاشي و الكبب. According to “The Encyclopedia of Aleppo” there are more than 60 kinds of Kibbeh in Aleppo. 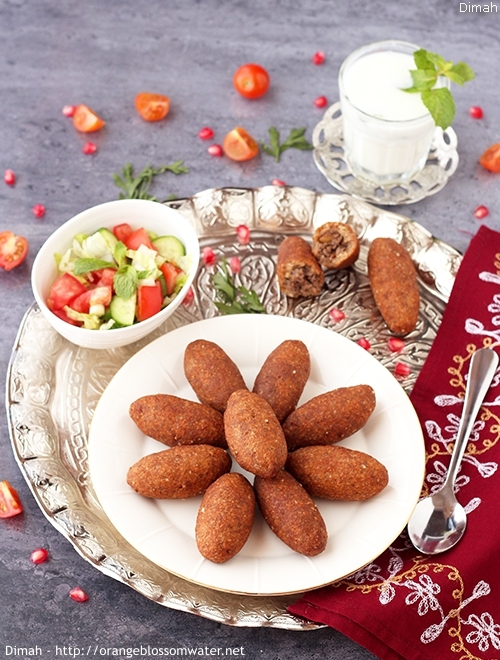 Kibbeh Meqliyeh Darawish is deep fried kibbeh similar to Kibbeh Meqliyeh, but in Aleppo is called Darawish and characterized by the above shape.